Hanauma Bay is an incredible natural pool that has formed in a volcanic crater. The crater is evidence of a volcanic burst of activity on the island tens of thousands of years ago. These volcanic eruptions formed the crater on the sea floor, and waves from the ocean eventually filled the circular bay. Hanauma Bay has long been one of the island of Oahu’s jewels. Native Hawaiians have been enjoying life on the bay for thousands of years. The beach and surrounding natural park get their name from two Hawaiian words: “hana” which means bay and “uma” which means curved. To the Hawaiians, Hanauma Bay has long been part of their history. In fact, there are many legends about how the curved bay got its name. The bay was historically an excellent area for fishing. Records show that the Hawaiian royalty in the 1800s often stayed at the bay for entertainment and fishing. 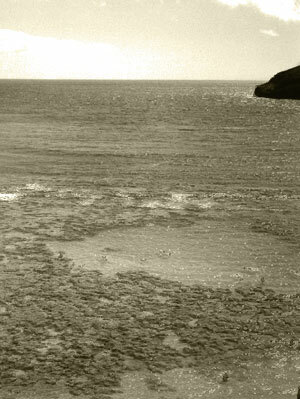 Development of the Hanauma Bay area began at the turn of the century, with a few dirt roads. Paved roads arrived in 1931 along with modest bathroom facilities and a guide rail for the steep passageway down to the base of the crater wall. After World War II, construction of the area increased with new restrooms and showers. Hanauma Bay quickly became a hot tourist spot and suffered from overuse throughout the next few decades. In the 1990s, measures were taken to start preserving the area and reducing the impact of visitors. Today, Hanauma Bay limits visitors and focuses on educating tourists on the natural wildlife of the area.